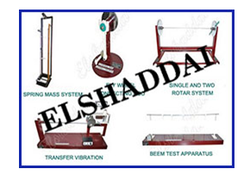 DYNAMICS LAB : Whirling Speed Testing m/c, Balancing Testing m/c, Rotating & Reciprocating Masses Testing m/c, Vibrating Table, Cam Profile Analyzer, Motorized Gyroscope. 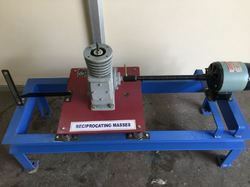 Spring Mass System, Cantilever Beam Set up, Free beam set up, Two Rotor Systems, Oscillation Connecting Rod and Flywheel specimen. Universal Governors. 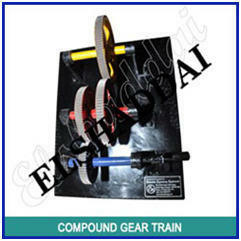 GEAR MODEL: Simple, Compound, Epicycle & Differential Gear trains. KINEMATIC MODELS: Spur, Bevel, Helical & Worm Gear Models.Four Bar mechanism apparatus, Single Slider & Double Slider Crank mechanism apparatus, Crank Rocker &Double Crank Double Rocker apparatus, Oscillating Cylinder & Scotch Yoke Mechanism apparatus. FLYWHEEL and connecting rod is useful to calculate ‘moment of inertia of connecting rod by oscillation. The effect of flywheel can be observed on oscillations of connecting rod.The apparatus consist of a bearing block mounted on support. This support is fixed on board with the help of nut and bolt. A shaft is fitted in the bearing block, which is free to oscillate. On the side of the bearing block there is an attachment for connecting rod. And on the other side of the bearing block flywheel can be attached. Gear Train is any combination of gear wheels by which motion is transmitted from one shaft to another shaft. In epicyclic gear trains, the axes of shafts on which the gears are mounted may move relative to a fixed axis. 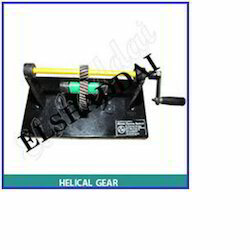 It is a motorized unit consisting of a SUN gear mounted on input shaft. Two plane gear meshes with the annular gear. These planet gears are mounted on a common arm to which output shaft is fitted. 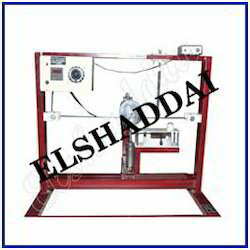 Loading arrangement is provided for loading the system and to measure holding torque. EEE Journal Bearing Apparatus for investigating the distribution of pressure in slide bearings illustrates the principle of hydrodynamic lubrication. The distribution of pressure and the carrying capacity can be determined on a sliding bearing model at different bearing loads and speeds. 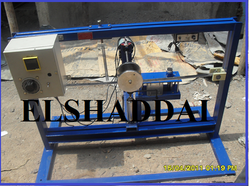 The sliding bearing consists of a bearing journal driven by an electrical motor and the freely moving bearing housing. The bearing is loaded with different, interchangeable weights. 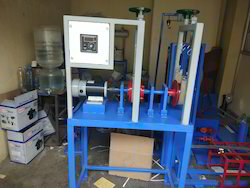 The setup contains manometer tubes, dc motor, dc drive to control speed, set of weights, oil tank, Journal bearing along with the shaft. 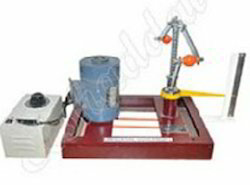 The set-up is solely designed & developed for the students of Mechanical Engg., to experimentally determine the Moment of Inertia of a Disk & Ring in rotational motion. Space Required : 1.5m. x 1m. Dimension 300 x 250 x 400 mm the entire system is mounted on a heavy duty frame which is embedded with multi springs to absorb the shock generated while reciprocation is in action with reciprocating system duly fixed on the frame and driven through dc motor with variable rpm level and duly indicated through the digital rpm monitor. We are suppliers of Bell Crank Lever, Bell Crank Lever on wooden base ( without weights)A wooden right angled lever with fulcrum at the angle, the horizontal arm is of 75 cm. and vertical arm is of 20cm, a spring balance with adjustable wing nut is attached to the shorter arm. The lever arm is with scale and grooved at every 5cm. Complete with one sliding weight of 1 kg. 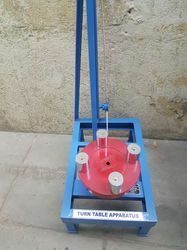 The set-up is developed for the students of Mechanical Engg., to experimentally determine the Moment of Inertia of a Disk Ring in rotational motion. 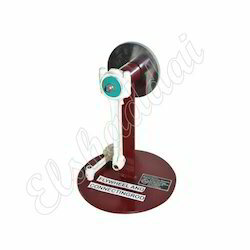 To study the determination of characteristics curves of radius of rotation against controlling force (Actual & Theoretical) for all Speed Governor. The set-up is designed to study the working of different governors normally used to control the speed. 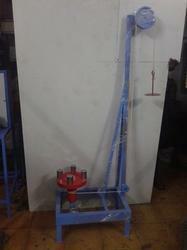 It consists of a main spindle, mounted vertically on the base plate. 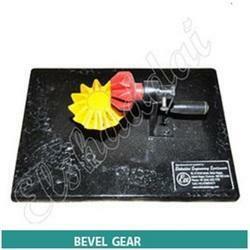 Our organization has gained name and fame in the field of offering Gear Model to the clients. 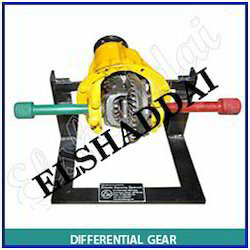 There is a unique and diverse range of these gear modulation available with our organization. These are available in excellent technical specifications and are renowned for their hassle free performance for long period of time. 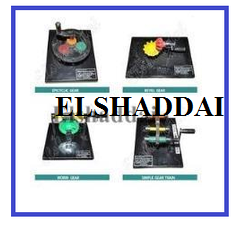 In addition to this, these gear modulation are available at legitimate prices to the clients. An arrangement of gears in an epicyclic train permitting the rotation of two shafts at different speeds, used on the rear axle of automotive vehicles to allow different rates of wheel rotation on curves. An arrangement of gears in an epicyclic train permitting the rotation of two shafts at different speeds, used on the rear axle of automotive vehicles to allow different rates of wheel rotation on curves. 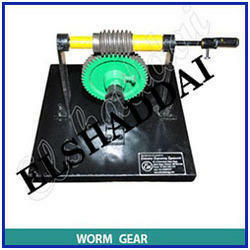 We are suppliers of Worm Gear. A gear consisting of a spirally threaded shaft and a wheel with marginal teeth that mesh into it. The toothed wheel of this gear; a worm wheel. 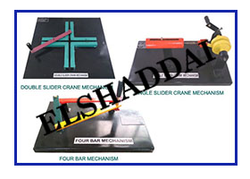 A four-bar linkage also called a four-bar, is the simplest movable closed chain linkage. Kinematic Mechanism consists of four bodies, called bars or links, connected in a loop by four joints. Single slider crank mechanism: When one of turning pairs of a four bar chain is replaced by sliding pair, it becomes a single slider crank chain. Double slider crank mechanism: The double slider-crank linkage has four links joined in a kinematic chain consisting of two revolute joints and two sliding or prismatic joints. Compound gear trains involve several pairs of meshing gears. They are used where large speed changes are required or to get different outputs moving at different speed. 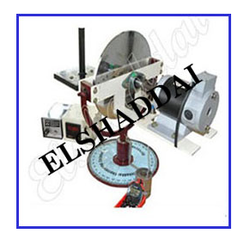 The Pin And Disc wear Apparatus consists of a steel disc whose top surface is case hardened and ground. The disc is rotated by a single ph. Induction motor at 3 different speeds. The test pin is inserted in a pin guide so that one end of pin touches the rotating disc. The pin guide is mounted on a cantilever to which spring balance is attached. The pin is inserted in the pin guide. The disc is set to rotate at the required speed. The required load is put over the pin and wear of the pin is measured for a time interval of 5 minutes. 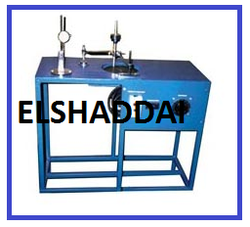 Different materials can be tested at different speeds, bearing pressures and either lubricated or non lubricated form. 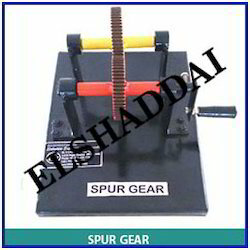 Vibration Testing Apparatus is designed to help in conducting various experiments to illustrate and verify the principles and relations involved in the study of vibrations. 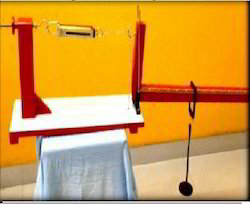 Following experiments can be performed with this unit. Gyroscope Disc is designed to verify the gyroscopic rules of a plane rotating disc The set up consists of heavy stainless steel disc mounted on a horizontal shaft, rotated by a variable speed motor. Rotor disc can be move about three axis. 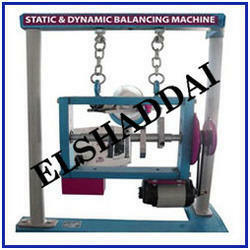 We are market leaders in manufacturer and supplier of Dynamic Balancing Machine. 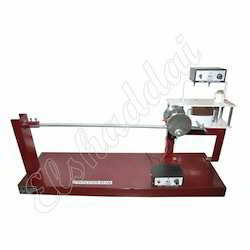 It has an AC motor with variable speed, which drives the balancing machine through a belt drive system. 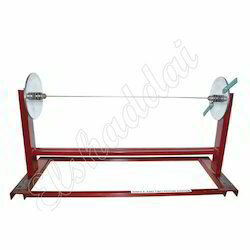 This equipment is designed for carrying out the experiment for balancing a rotation mass system. The apparatus consists of four circular discs mounted on a shaft. The discs are grooved for the attachment of weights at a specific radius. 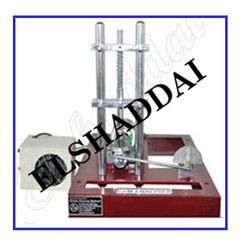 The block are clamped on shaft is rotated by a motor to check dynamic balance of the system. 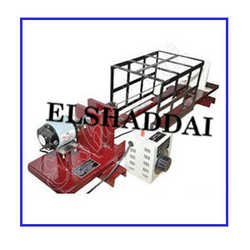 The apparatus is designed to study the Cam Analyzer profiles and performance of cam and follower system. A shaft supported by ball bearings upon which three different types of cams can be mounted. 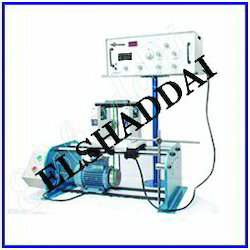 Looking for Dynamic Lab Equipments ?